Be part of the latest fashion but create it all yourself! 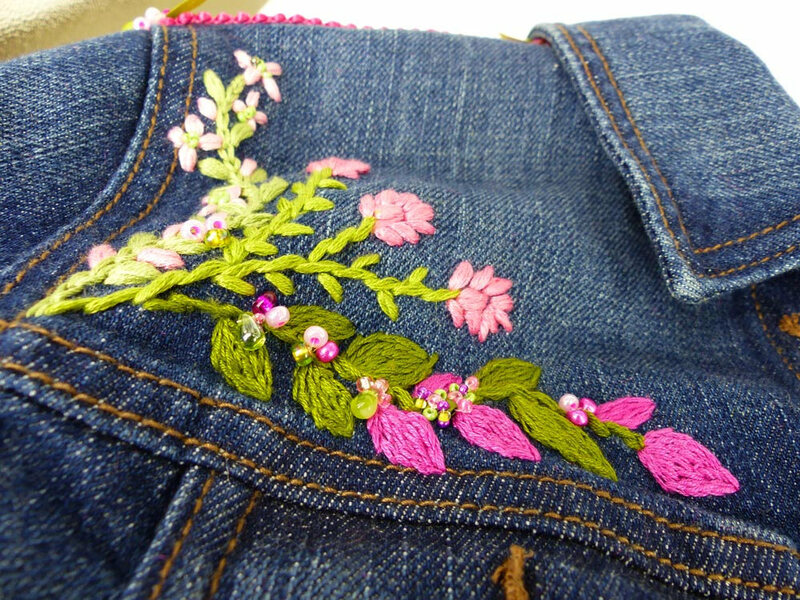 Bring along a denim jacket or jeans to try out some hand embroidery to up-cycle your garment to the latest fashion trends seen on the catwalk and high street. Once you’ve mastered the technique you will be up-cycling everything!! Bring along a pair of jeans or denim jacket that you would like to up-cycle. We will supply all other requirements.